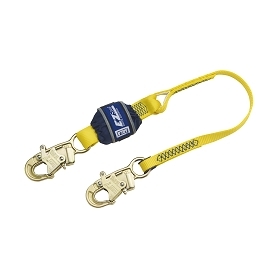 The PRO-Stop™ shock absorbing lanyards provide high quality compliance at an economical price and are trusted by workers. 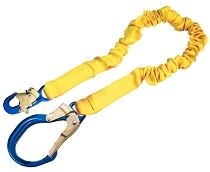 They feature a one-piece lanyard with integral energy absorber, durable webbing and plated alloy steel hardware for strength and corrosion resistance. PRO-Stop™ lanyards feature a unique inner core that immediately begins to extend and absorb energy during a fall, limiting arresting forces to safe levels. In addition, PRO™ lanyards are lightweight and provide added comfort and safety. Various styles, lengths and hooks options are available to suit your specific jobsite needs.